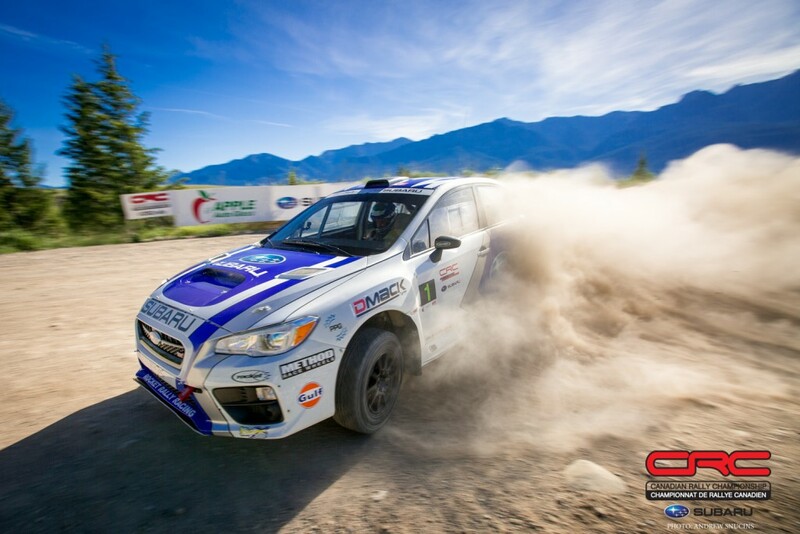 Antoine L’Estage and Darren Garrod of Subaru Rally Team Canada drove to victory at the 2016 Rocky Mountain Rally, in Invermere, B.C., going uncontested through the second day of competition. 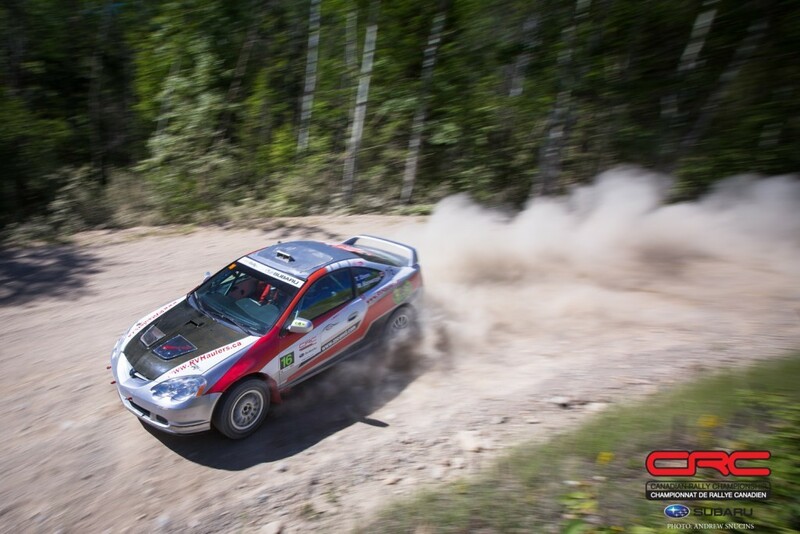 The win is the first for the team this season, after mechanical problems forced the team to retire from the season opener, the Rallye Perce Neige. 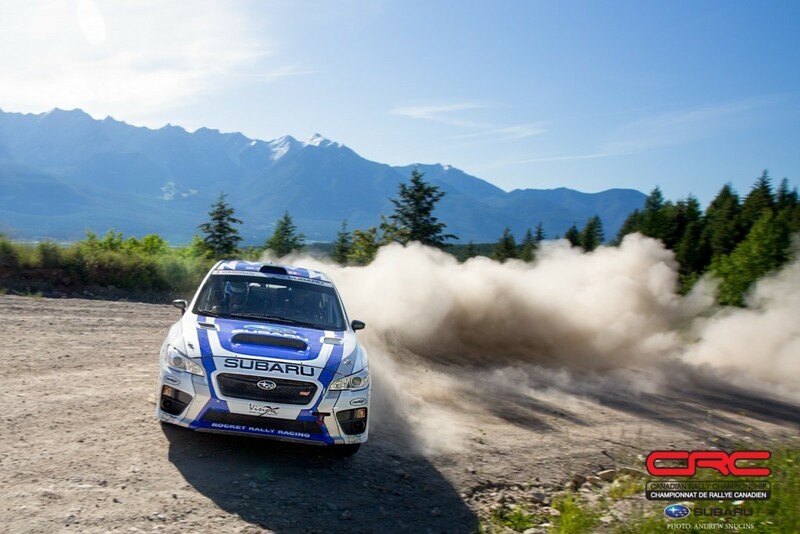 Winning Rocky secures maximum points for both driver and co-driver, as well as for Subaru, in the manufacturer’s cup. The event is also a personal achievement for L’Estage, who notched his 44th career victory. 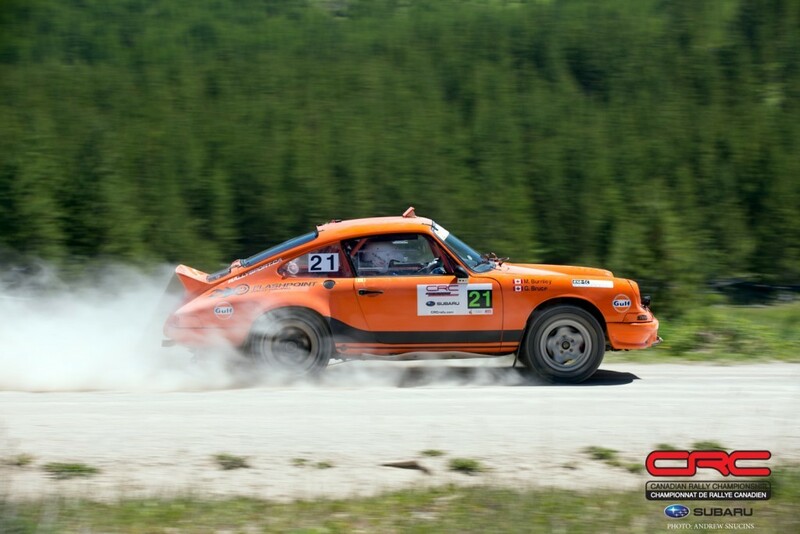 No other driver in Canadian rally history has been so successful. In setting the new record, L’Estage beat the record set by long-time mentor John Buffum. Even with no close competition, the pair set the pace to beat on the first of Sunday’s stages, the uphill Hawke Road West special. Their closest competition on the first day, Joel Levac and Stephanie Lewis, retired after hitting a tree on the first day, opening up a four minute lead for L’Estage and Garrod. Boris Djordjevic and Robin Chapelsky sustained a fast pace without having so many of the problems that plagued the competition. The challenge over the last year has been in the development of the car that was purchased from L’Estage. While some small changes still need to be made, it appears the team have found a formula that works well. A battle had been brewing for the final podium spot late on Saturday, and continued into Sunday. 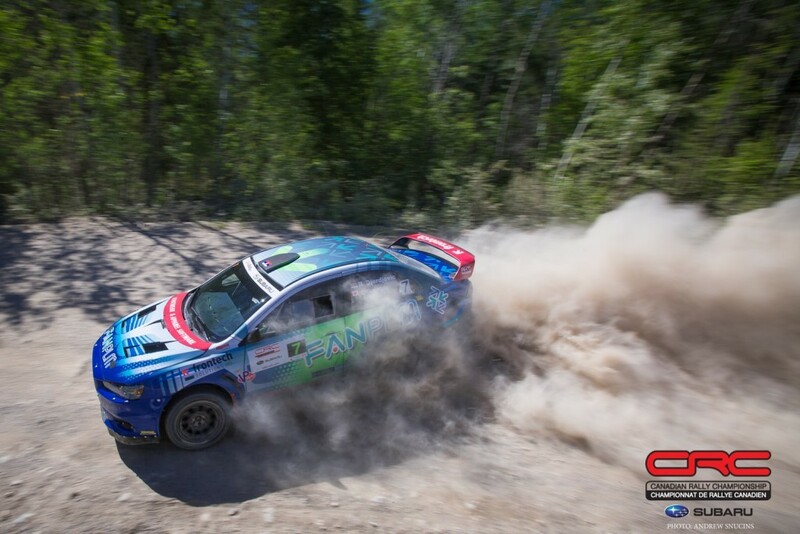 Brandon Semenuk and John Hall were pushing their car to the limit in an effort to make up for a lack of power. The car had been down on power all rally, and was especially challenging to drive on the uphill stages on Sunday. On the final downhill Hawke stage, Semenuk and Hall posted a time just four seconds back from L’Estage. Semenuk and Hall had been losing time to Hardy Schmidtke and John Dillon on Sunday, especially on the uphill stages where Schmidtke’s much more powerful car had a clear advantage. However, Schmidtke and Dillon crashed on the final stage, handing Semenuk and Hall the final podium spot. Maxime Labrie and Anick Barrette have retained the championship lead, having finished fourth overall. The pair had never been to this event and wrote fresh notes during recce. However, Labrie confirmed that they would have been faster with better notes. 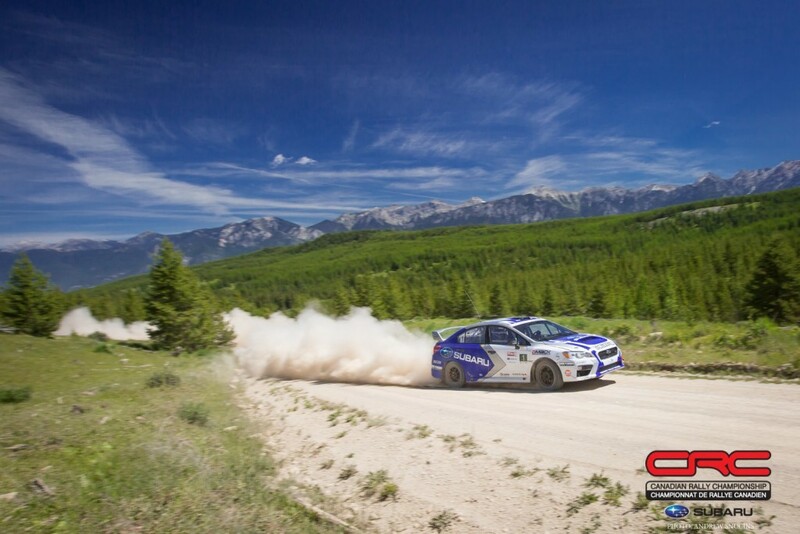 The pair will enter the Rallye Baie des Chaleurs in one month as leaders of the championship, but will have a tough task in holding on to that title in what is sure to be strong competition. 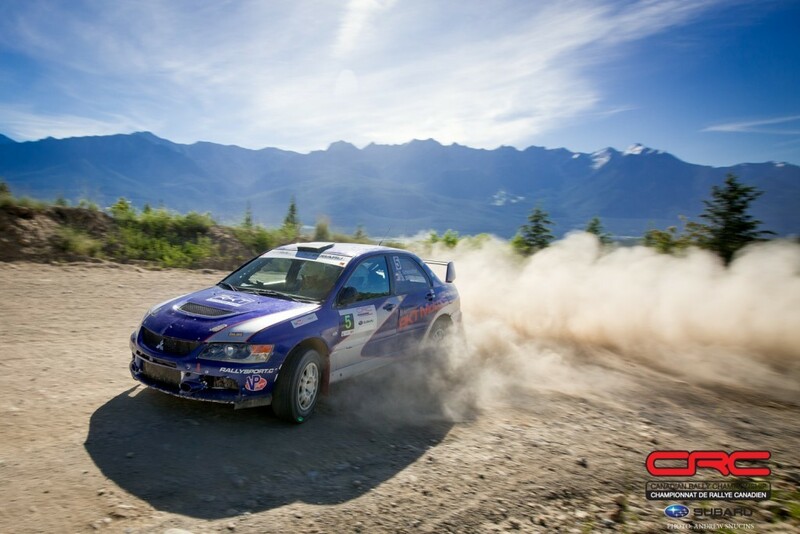 The Zedril brothers – Jan and Jody – have not competed in the Canadian Rally Championship in nearly five years, but clearly haven’t lost their touch. 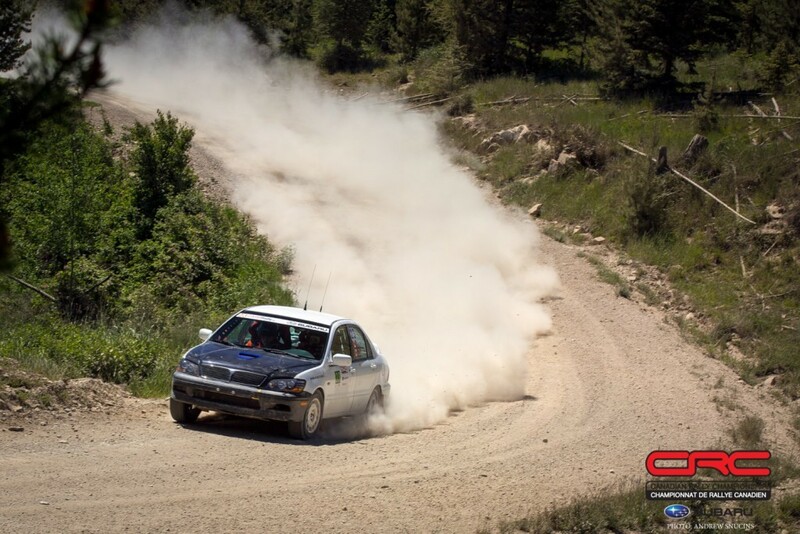 Quickly, the pair were setting good stage times, and stayed out of trouble that seemed to decimate the rest of their field, driving to a class victory. Second place went to Voytek Stywryszko and Peter Brook. The team finished on the podium here last year, and clearly benefit from knowledge of the roads. 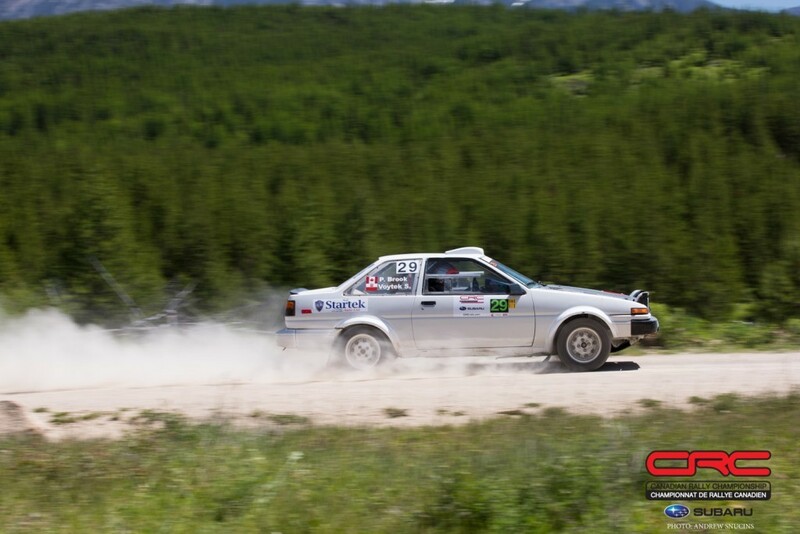 The team setting some of the most blistering times in two-wheel-drive was Tanveer Deen and Michael Szewczyk. It was a remarkable performance, but the team struggle with consistency, crashing out on the first stage. While the team was able to restart, they took heavy penalties and were unable to climb any higher than third in class. The weather remained much as it had been on Saturday, with dry, hot, and dusty conditions wearing on teams and equipment. Despite the challenges, teams were thrilled with the more favourable conditions. Last year’s event – held in November – was cut short after ice and snow forced organizers to cut the final stages. The change of date has also produced a promising change in conditions. 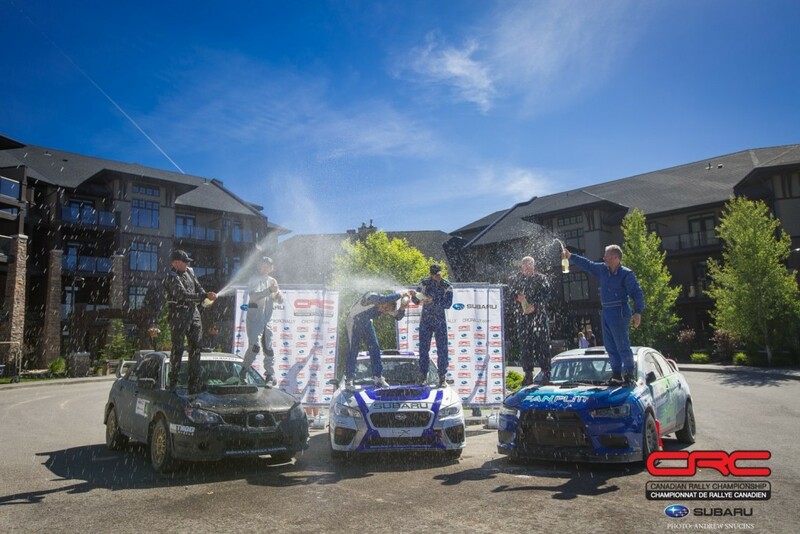 The Canadian Rally Championship continues next month with the Rallye Baie-des-Chaleurs, in New Richmond, Quebec. 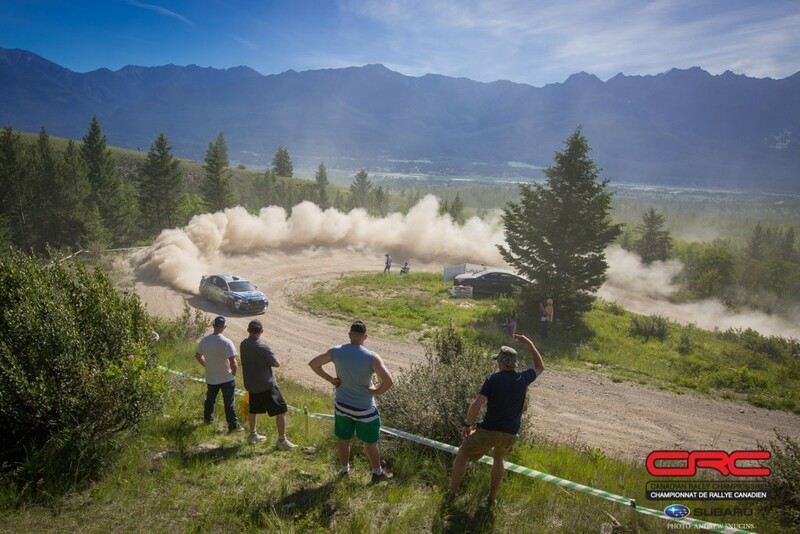 It is one of the longest rallies in Canada and includes the largest jump in North America, and some of the most ardent rallying fans in the nation.